The new piece will be an infantry rifle capable of hitting the enemy at a range of up to 1 km, and could be a potential replacement for the Soviet SVD. Design bureau TSNIITochMash (part of Rostec State Corporation), the creator of the Ratnik-2 infantry combat system for the Russian soldier-of-the-future, has begun work on a new semi-automatic sniper rifle for the Russian Defense Ministry. Project Ugolek, as it is known, is being developed in tune with NATO-caliber .308 Winchester and .338 Lapua Magnum ammunition. An important feature of the new rifle is the total lack of foreign-made components, first and foremost, its ammunition. The .308 Winchester and .338 Lapua Magnum calibers are two of the most commonly used sniper bullets in the world. All the world’s top militaries deploy them in their sniper rifles for use during special ops, including in Syria. And whereas until recently Russian sniper ammunition was purchased from abroad, the task is now to make the new bullets in Russia, since they will be what gets fed into—and fired out of—the Russian army’s new rifles. 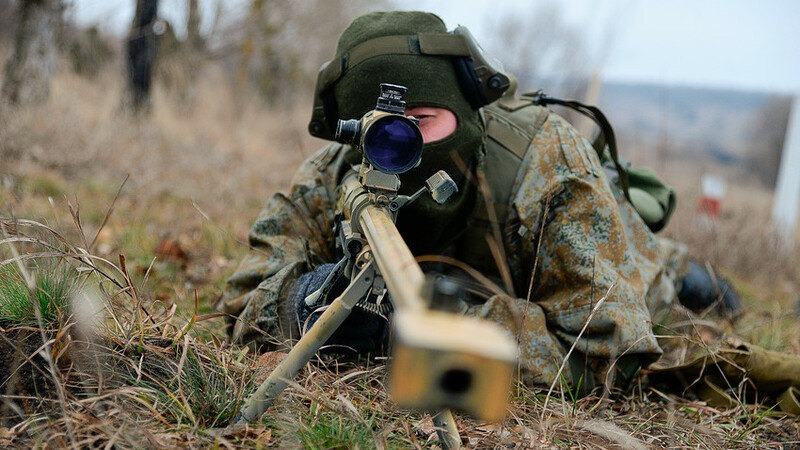 In parallel, TsNIITochMash will have to develop attachments and new sights for its future sniper rifles. Incidentally, the company faces a solid competitor in the market of semi-automatic sniper rifles for the Russian military in the shape of Kalashnikov Concern, which unveiled a replacement for the Soviet SVD back in mid-2018. Read more about this development and what Russian President Vladimir Putin thinks about it here.